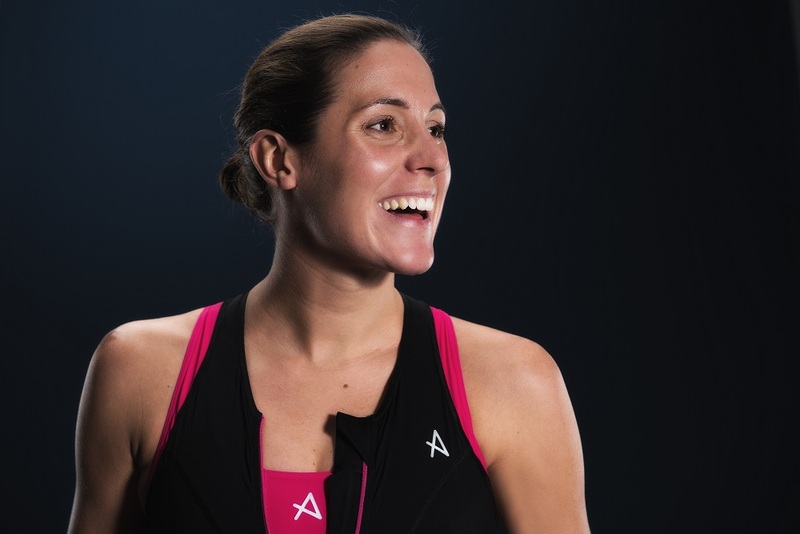 We talk to three-time Olympic triathlete Helen Jenkins about pregnancy, coming back from adversity, and why getting dirty isn’t just for boys. Self-motivation and independence have made Jenkins into one of Britain’s most successful triathletes. 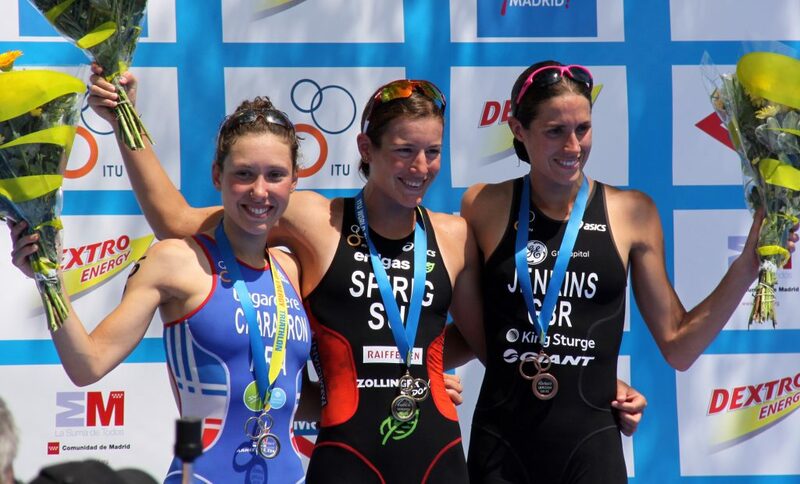 A three-time Olympian, she has more ITU World Triathlon Series podium finishes than any other British woman. 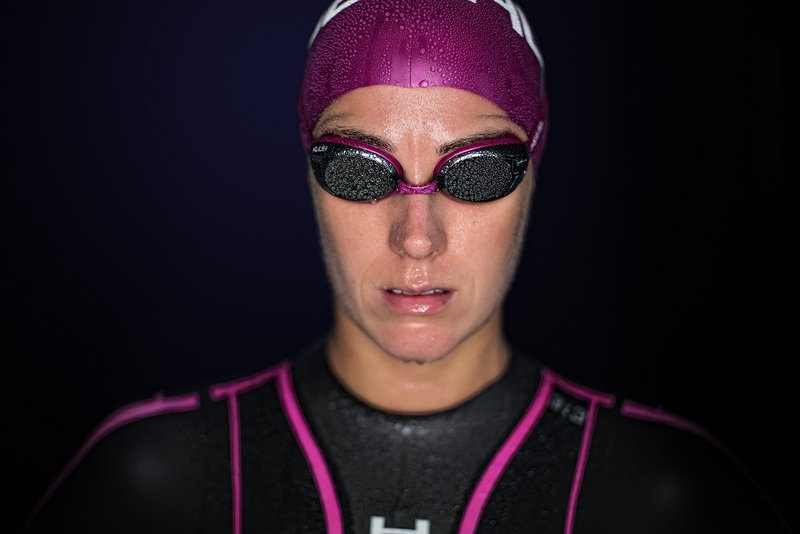 She’s also won the International Triathlon Union world title twice. But it hasn’t all been plain sailing. Jenkins overcame an injury that left her unable to compete for nearly 18 months. She came back fighting and went on to compete in the Rio Olympics. After time away during pregnancy, Jenkins is an enthusiastic advocate for mums in elite sport. She tells me about human rights, hard lessons, and why more women athletes are coming back after having children. What’s the most important thing your parents taught you? I think the most important thing is to live within your means. My Dad was in the forces and my Mum worked part-time when me and my sister were young. We didn’t have loads of money but they were really careful with it. We were never denied anything but I think that’s lead me through my life. It makes me respect money and taught me that if your money’s hard earned then to look after it. As a triathlete, I earn quite a decent living but you just don’t know when your career’s going to end. I always loved sports. I was swimming until about 15 or 16 but I wasn’t doing that well. 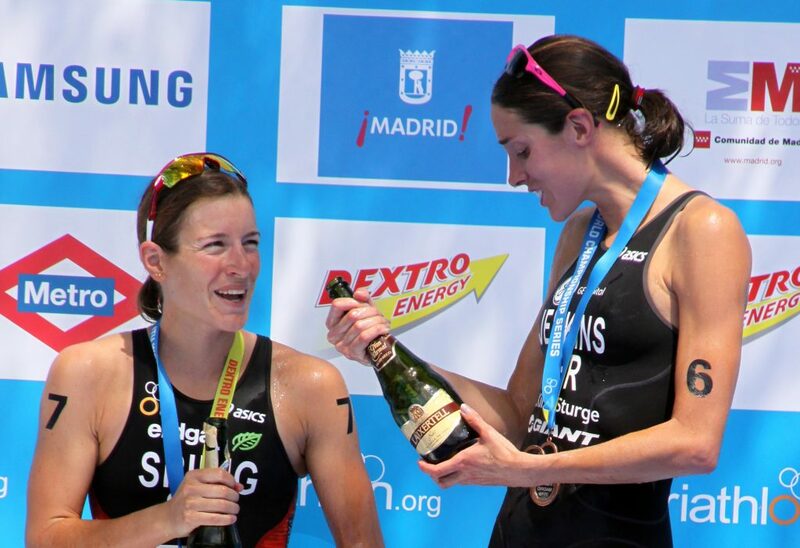 I had the opportunity to give triathlon a go and I loved the three disciplines. That was a really big one for me, the variety. I was a lot better at triathlons, I think that probably helped! How did your formal education shape you? I don’t know how much it shaped me. I mean, I didn’t hate school, I didn’t love it, I did okay. It was when I actually left school and aimed to be a triathlete, that’s what shaped me more. The travelling and learning to be self-sufficient. School was just something I was doing until I was able to do what I really wanted to. I’d say it’s half and half. I look at me and my sister and I’ve definitely got a more focused nature. She was very good at sport as well but she just didn’t have that competitiveness. And we were both brought up the same. I’d say my competitiveness and my determination was nature. But then, I couldn’t have done it without my parents and the supportive environment they provided either. My family and my sport are really important to me, so my best memory is probably is when I qualified for the Olympics in 2011. As an athlete, you get the glory when you cross the finish line but there are so many people that contribute to that performance. What’s a lesson about rights that you learned the hard way? I think freedom means I’ve had the right to choose my path from when I was young. That’s such a big thing. We travel to different countries and different places and you just see people living in a way where they haven’t had the opportunities I’ve had. Having that freedom is amazing and you do really realise it when you see that other people don’t. What would you save from your house in a fire? Well, once all the family’s out, I think I’d probably save my wedding rings. We bought them last minute for $20 when we were in America but to me, they’ve got a lot of sentimental value. Describe a time when you’ve experienced some kind of discrimination. Well, I’m pregnant at the moment. I wouldn’t say it’s discrimination, because my sport as well has been really supportive, but you do get that sense with some people that they don’t really know if you’re coming back. Some athletes have come back from having kids and have done amazingly. We’ve got some great role models in sports but there’s always that element of doubt. Whereas my aim is to come back and race next year. Does it frustrate you at all, seeing that? It was a bit more of a surprise, I hadn’t really thought about it. It’s frustrating in a way because you’re still the same person. Do you think there been enough done in elite sport to support women and mothers? I think there’s definitely more to do. With British Triathlon, our performance director has been fantastic. He fully supports me coming back next year. They have the ability to change your funding level and he hasn’t. So I’ve been really lucky and we’ve got good role models. I think as more women do take time out and come back it will be a bit more the norm. It’s not the norm at the moment. Which human right do you value the most? I think the biggest one is fairness and equality. I hate discrimination, I hate that unfairness. Do you ever ‘check your privilege’? Oh yeah, I do. We went to the Olympics in Rio last year and we were going to the closing ceremony. You’re obviously off to this amazing event and are very privileged to be going. Then you’re driving past favelas and all the poverty. It makes me feel very grateful that I’m able to do what I do. I’ll never take it for granted because I’ve seen the way other people have to live. Probably that I don’t seem that competitive! It doesn’t come across, really. Then we I get into that race situation and a different side comes out. What does ambition mean to you? Have you ever suffered a setback you’ve had to come back from? I think ambition is always improving. It’s very easy to say “I want to win this race”. But for me, the focus is always to improve myself and my ability. That keeps me motivated more than anything. I had a really bad injury leading into 2012 into the Olympics and it took a good 18 months after the games until I raced again. There were doubts I was going to get back but my drive to keep improving was what got me through. What do you fear most in terms of human rights for the next generation? It’s a hard question. I think one of the biggest fears is the social media side, how all that relates to kids and their self-esteem. Just how people treat each other in general. It’s very easy to type a horrible tweet to someone. You have to respect each other’s feelings and we don’t do that. I’d say agnostic, there’s no proof out there. I’m not religious in any way but I don’t mind anyone who is. What does dignity in dying mean for you? I think people should be able to choose if they want to end their lives. If you know that’s coming and you’re able to make the decision on your own you should be able to. But there’s so much stuff that comes with it. Every case would have to be reviewed individually. When I’m in full training, I don’t have too much time. Being an athlete is quite a selfish pursuit and a lot of my time goes into that. Because I’ve had a lot more time during my pregnancy, I’ve spent a lot of time going to schools and talking to kids about sport and what I’ve done. I think especially with girls, they get to a certain age and they don’t want to sweat or get messy and dirty. It’s just trying to get past that barrier, that it’s not a bad thing to be out exercising and enjoying sport. It’s not just a boy thing. And…. What’s the meaning of life? The easiest question of them all! I think it’s having a purpose and something to be doing, something to be alive for. I’ve noticed it more because I haven’t been training for a goal over the past eight, nine months and I just feel a little bit lost without it. Obviously, there is a purpose, there’s growing a baby. But I think you’ve got to have something that you want to get out of bed for, that you want to do. It’s made me realise how much I love what I do.